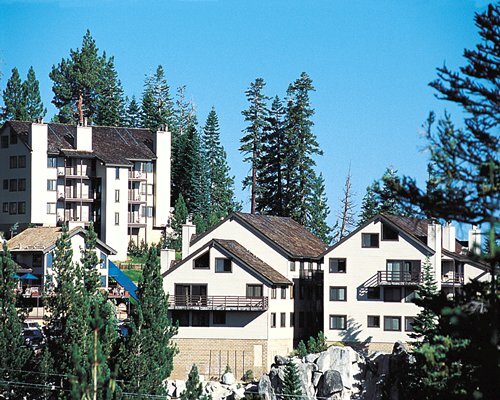 Tahoe Summit Village is perfectly situated for taking advantage of all Nevada has to offer! 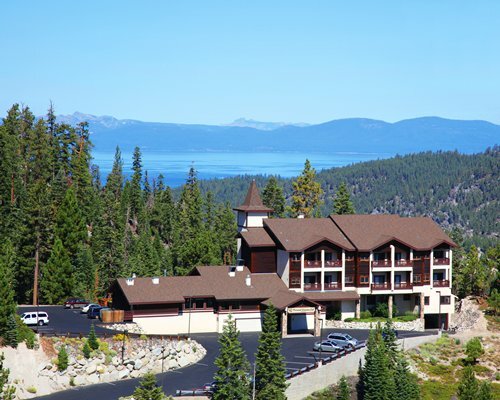 Lake Tahoe is the focal point for warm-weather activities and with the lake and beach only four miles away, guests can take advantage of swimming, sailing, windsurfing and parasailing. Family activities such as horseback riding, golf and tennis can also all be found within five miles of the resort site. When winter approaches, the mountains become a skier's playground and the slopes of Heavenly Valley Ski Resort are just a short drive away. 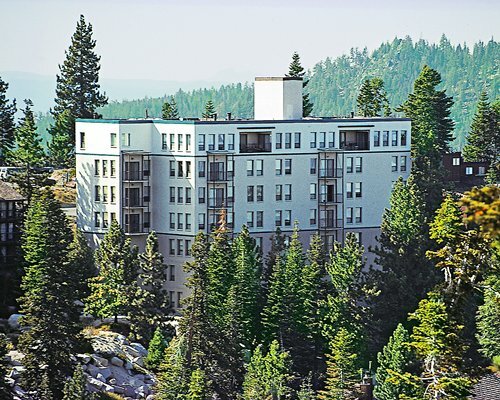 Ideal for modern families, mountaintop condominiums at Tahoe Summit Village boast every imaginable amenity. 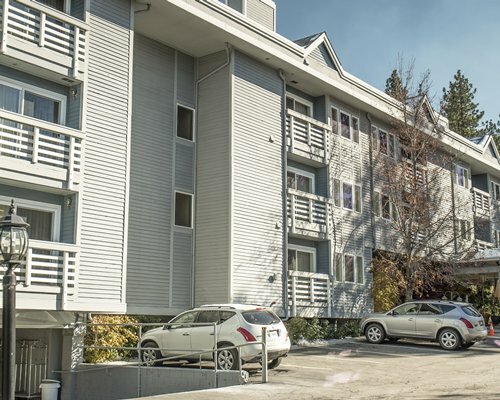 Especially spacious two-bedroom units have soaring stone fireplaces. 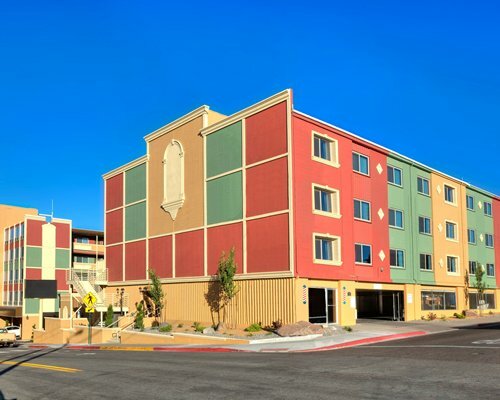 Attractively furnished, all units have contemporary, well-equipped kitchens with granite countertops, new cabinetry, refrigerators, microwave ovens and dishwashers. Some units have sleeping lofts. 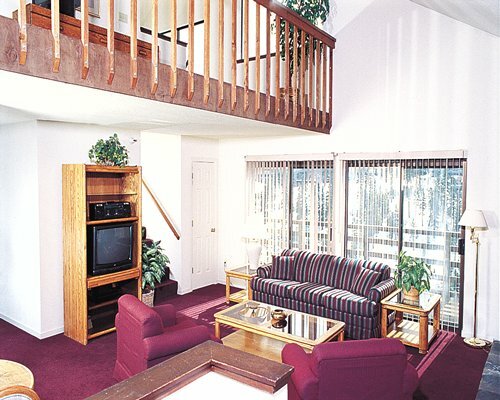 Fully carpeted, all units have telephones, flat-screen televisions with cable and washer/dryers. For the 2 bedroom + loft units (sleeps 8), there are no ground floor units available in this size unit. Resort is multiple levels with no elevator. Please be aware that there are BETWEEN 50 AND 104 STAIRS leading to all units and no elevator. Stairs required to access units as well as stairs in unit. For the 2 bedroom + loft units (sleeps 8), there are no ground floor units available in this size unit.